When changing the registered office address, please remember it must be a physical location in the United Kingdom. Go to My Companies (login required) and click on your company name. 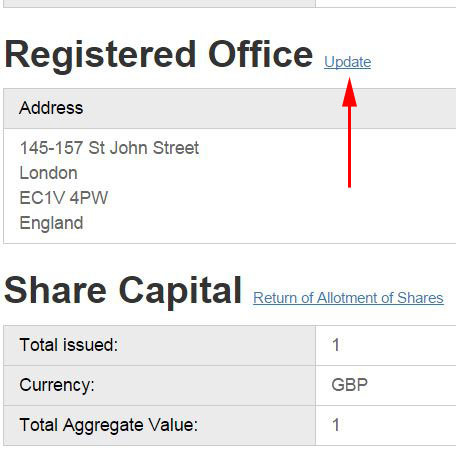 Scroll down to "Registered Office" and click "Update". 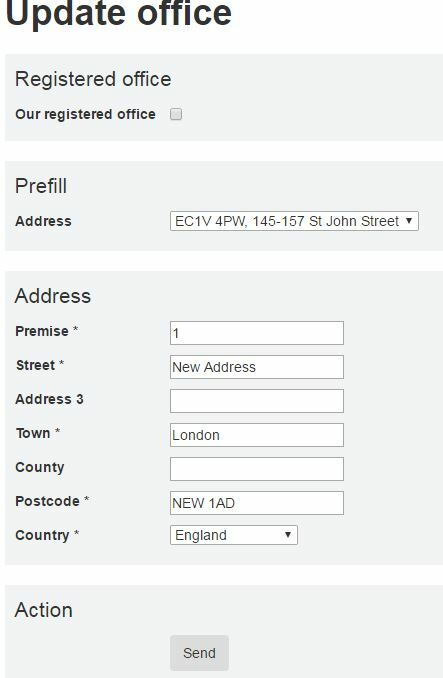 Enter the new address or select "Prefill" which will automatically copy a saved address in the fields. If you see "our registered office" checkbox, untick this before entering the address. Click "Send". Your request is sent to Companies House awaiting confirmation. You will still see the old address until the request is accepted by Companies House 3 working hours later. Seen an error? Check your authentication code is valid. Lastly, you must notify HMRC via email or post of your new registered office address. Our system and Companies House system does not update HMRC. Please note: If you are no longer going to be using our N1 registered office address, please ensure you disable auto-renew to stop any automatic payments coming out from your account. Failure to disable auto-renew could result in your bank account being debited for the price of the renewal service. How do I change my Service Address?